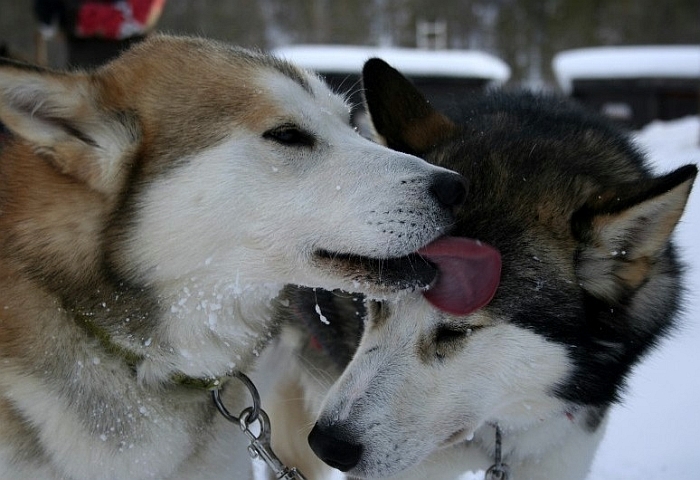 A shorter tour for those, who would like to give extended dogsledding a first try. This tour takes you from our kennel through snow covered forests, over the river Torneälven to our wilderness camp. The camp has no running water or electricity. It is heated up with wood stoves, candles provide a cozy light and water we get from a small creek just behind the cabin. Besides the rather ancient feeling these circumstances create, the deep silence around the place is rather stunning. As there is no light pollution around the area, the northern lights are visible on many clear nights and the starry sky is very impressive, too. At 13.00 o´clock we pick you up from the airport or your hotel in Kiruna and drive you to our kennel. Here we introduce you to our dogs and before the tour starts we provide additional warm clothing (overall, boots, mittens, hat). 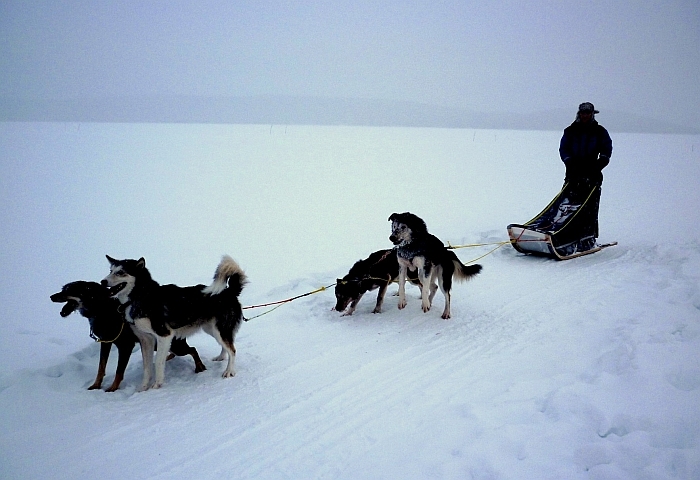 Every participant drives his own team of 4 sleddogs, but if you wish, it is also possible to ride as a passenger on your guides sled. After the instructions in “how to drive a dogsled”, we harness the dogs and take off to our wilderness cabin. After arrival we take care of our huskies and sit down for a warm cup of tea or coffee. In the wood heated sauna you have the possibility to relax before or after having dinner. The next morning starts with a nice breakfast and afterwards we harness the dogs again and head back to our kennel. In case you would prefer to extend your tour, it is possible to book an extra day! Please keep in mind not to bring clothing made of cotten, as cotten does not keep you warm. This is especially important when it comes to socks and thermal underwear! The higher the wool content the better! Our prices you find under"Dates and Prices"